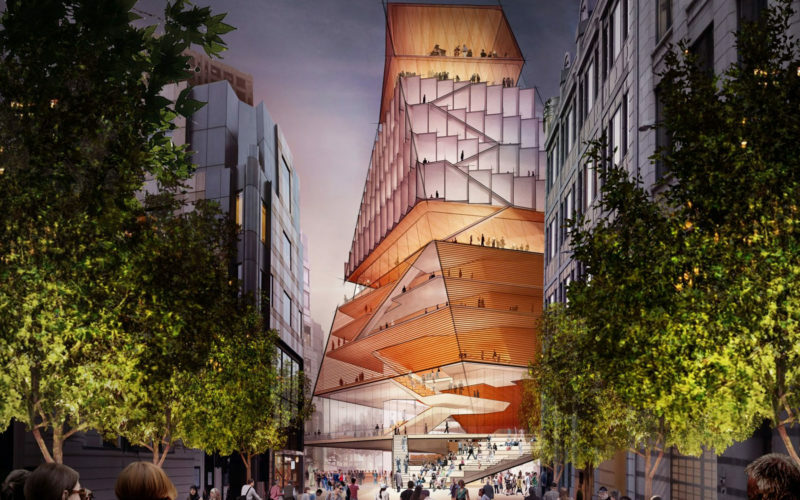 London is a world-class city and one thing it lacks right now is a world-class symphonic concert hall. Yes, it has the Royal Albert Hall, but that’s over 150 years old and not exactly to the standard of modern concert halls. 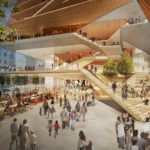 This is set to change in the coming years and we now have our first good look at what the place could look like. 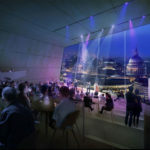 The London Centre for Music is due to be built where the Museum of London is currently located. The Museum of London will be moving to a new location in Smithfield Market in the coming years. 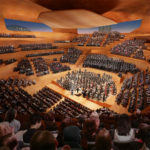 So, that opens up the opportunity for the museum to be demolished and a proper symphony hall to be built in its place. 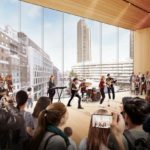 The whole project is a joint venture between The Barbican, the London Symphony Orchestra, and Guildhall School of Music & Drama. 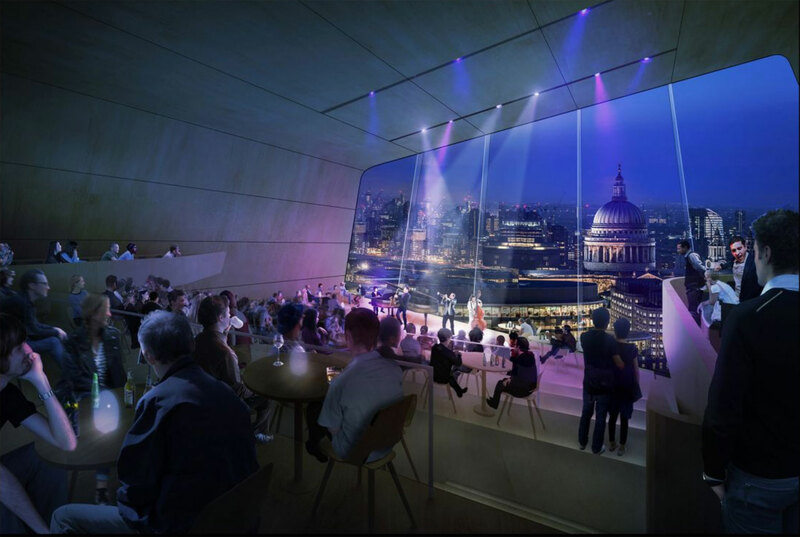 The Centre for Music aims to revolutionize the performance of classical music in London. 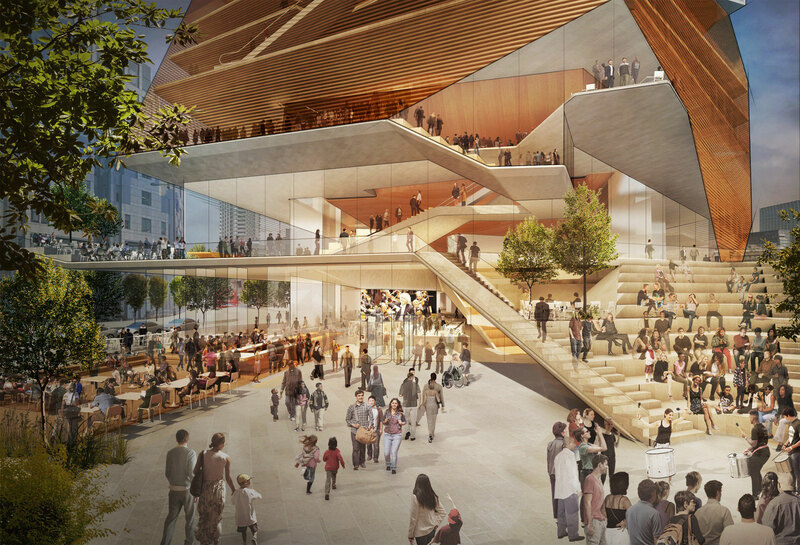 The Centre for Music will feature a 2000-seat main hall, in which the audience would surround the orchestra, clustered in pockets of seating. 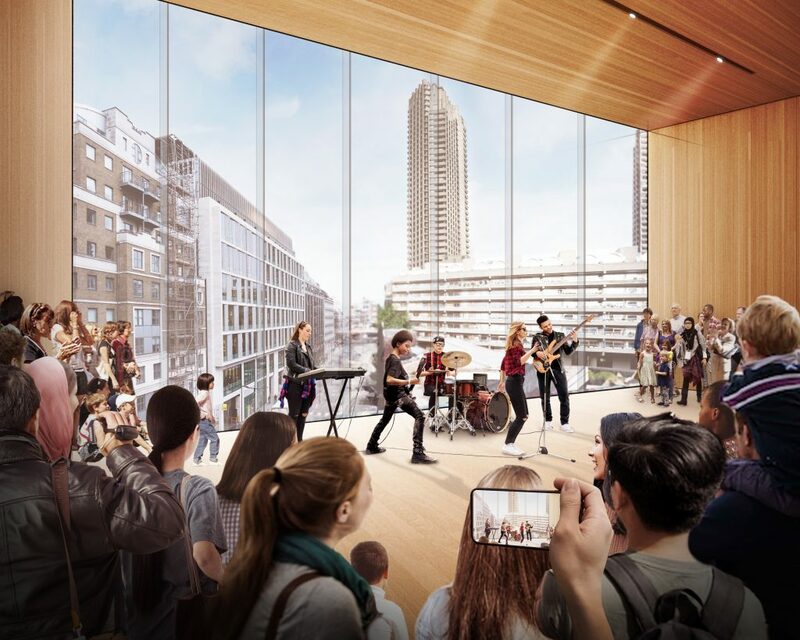 The steep-sided venue, which is set to feature breakout spaces for musicians to perform amongst the audience, is designed to make the best possible use of acoustics and thus provide the richest aural experience. 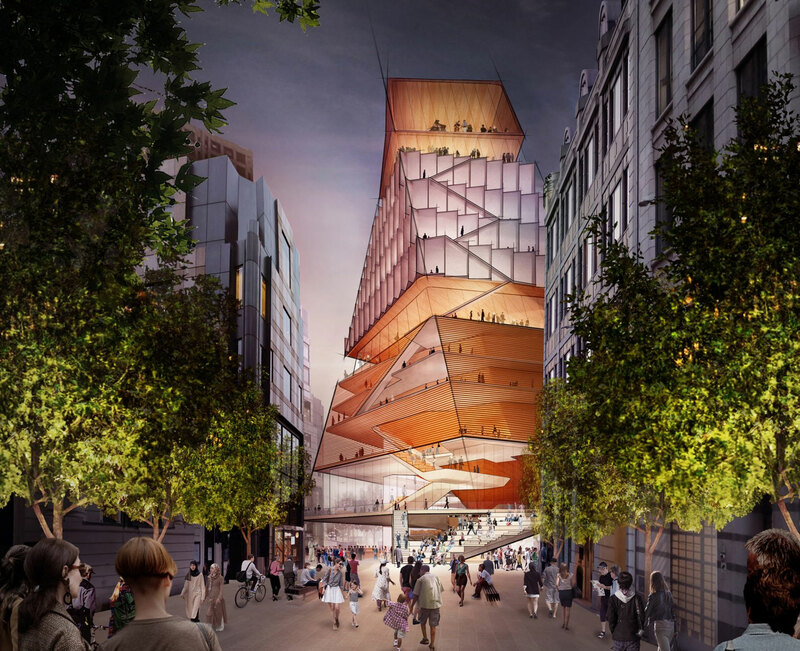 The whole thing was designed by architects Diller Scofidio + Renfro, who designed the Manhattan High Line and have also had a hand in the V&A East development (old news – the V&A is getting another museum in East London). 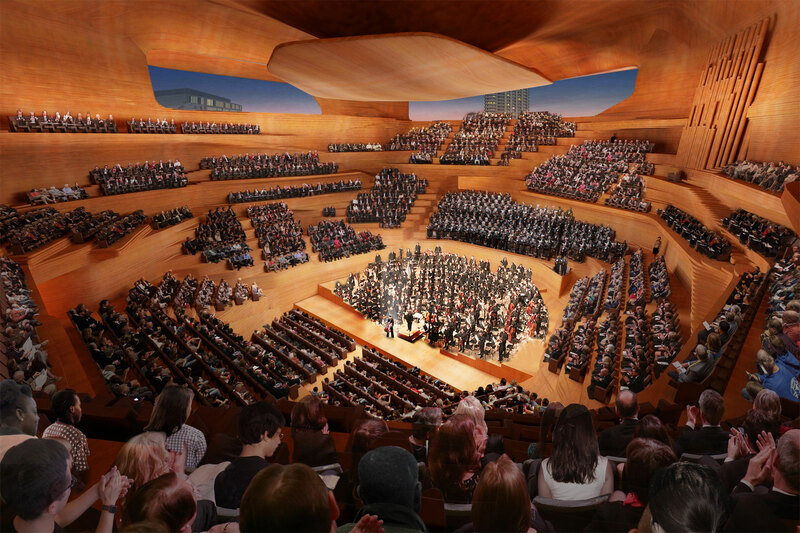 A lot has to happen for this new concert hall to be built. 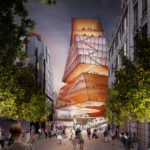 First, the Museum of London has to move, which isn’t going to happen until 2023 at the earliest. Then the site has to be cleared. The Barbican area is no stranger to unique, modern architecture so I don’t think planning permission will be a problem. However, the busy roundabout will have to be reconfigured, which will be no tall order. That and the whole thing will cost £288 million (which will be raised from private fundraising). As a big fan of classical music, I look forward to watching this project develop! Looks like a group of giants neglected to throw their fast food trash in a bin…..